7:30am. I check the odometer. 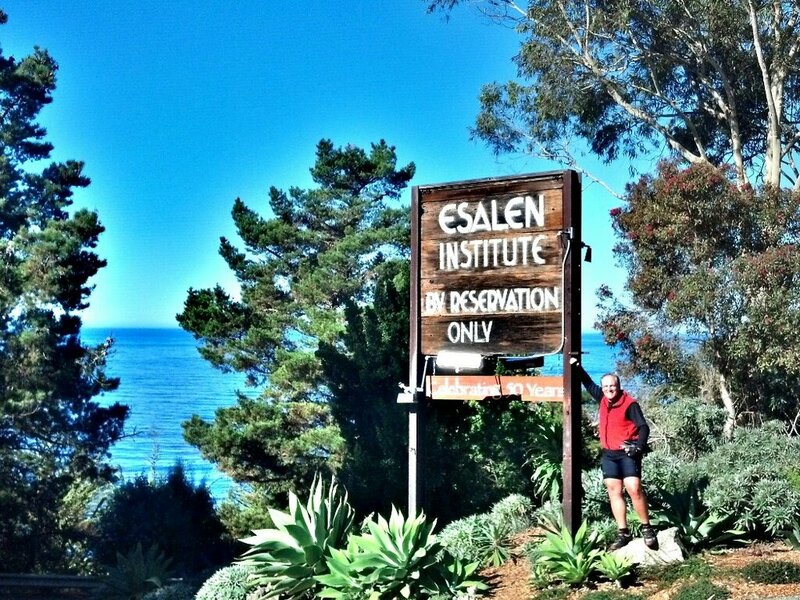 The big number is coming up, as I set out from Pfeiffer Big Sur toward Esalen. I need to clock 36 more miles to reach it. 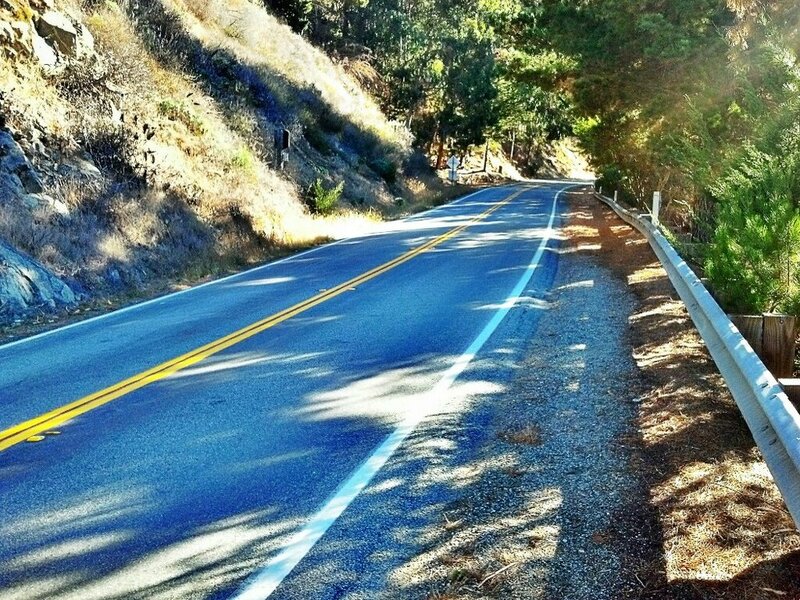 A 900 foot climb is a great way to start the day, getting the muscles warmed up, heart going, mind moving. 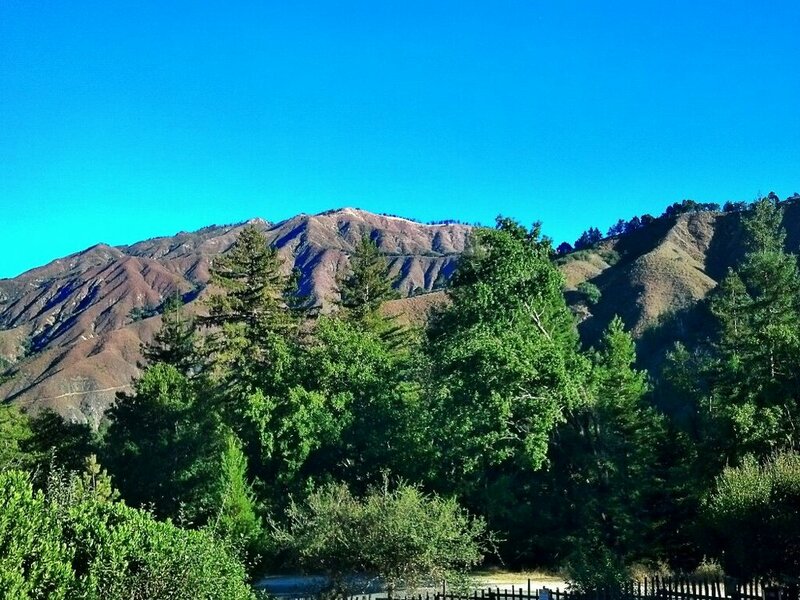 The reward for this hill is the Big Sur Bakery at the top, with coffee and pastries for breakfast. The sun rises over the hill to the east, casting deep shadows over the scruffy terrain. 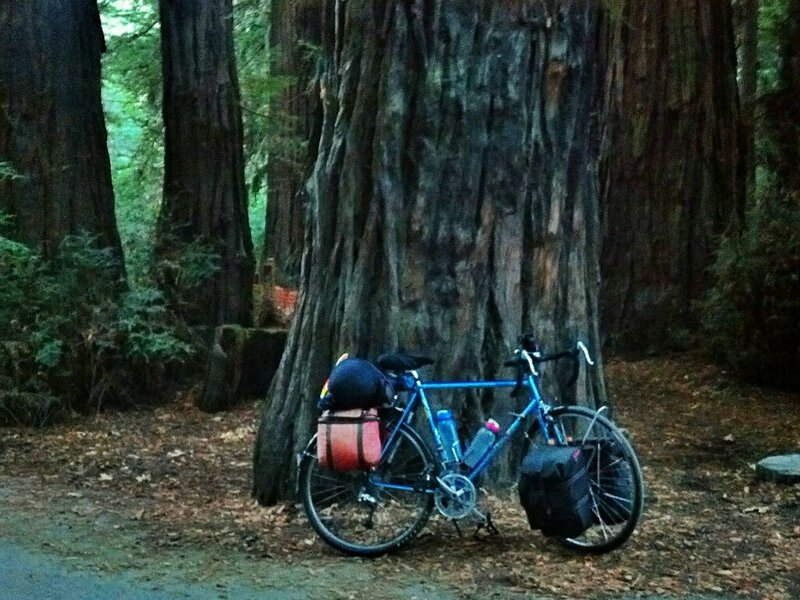 I had forgotten for a moment the desert, camping last night in a pocket of redwood forest. 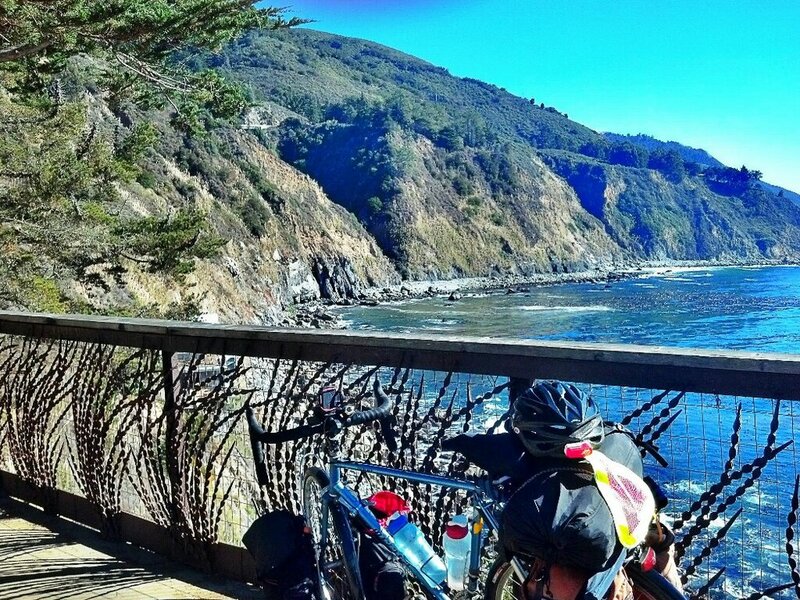 The miles to Esalen disappear effortlessly, a short ride in the bigger scheme. But at 16, I still have 20 more miles to tick off the big number. 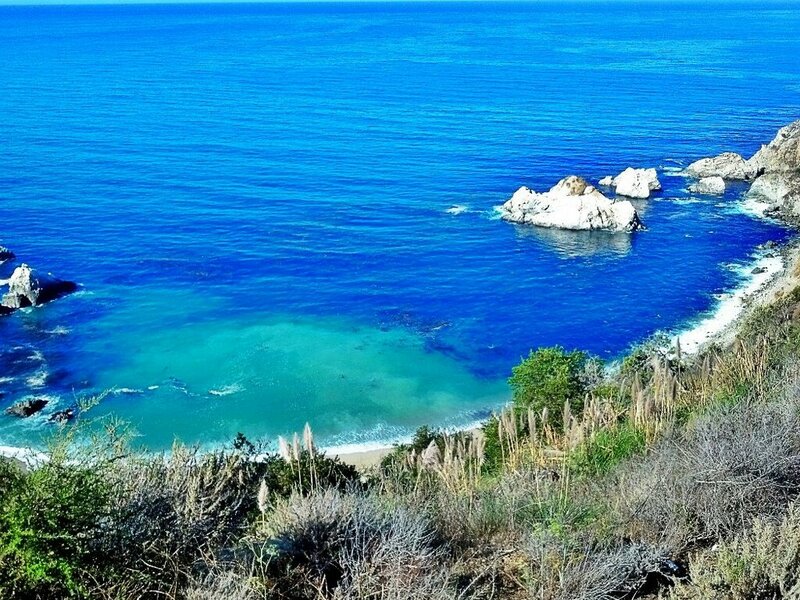 So I ditch the panniers in the bushes and ride south, past Lucia. 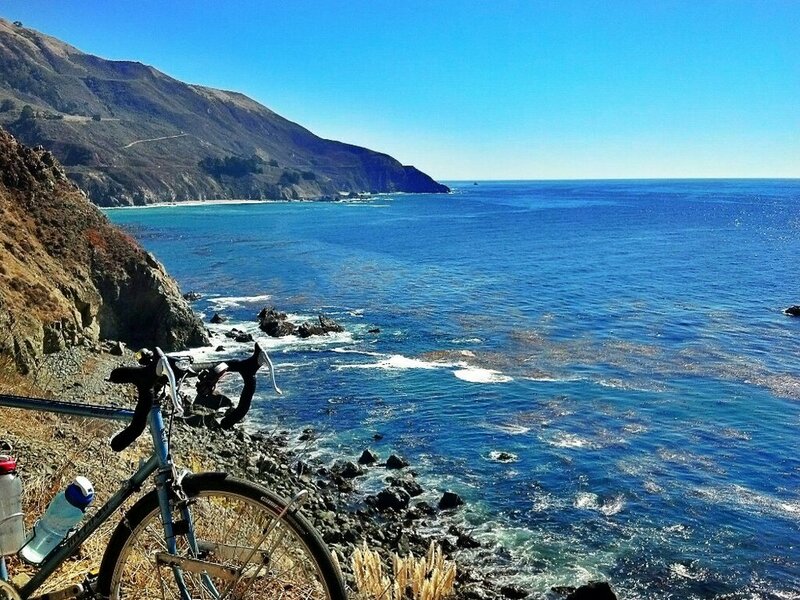 The bicycle unencumbered by its touring load seems foreign, too springy, somehow naked. I wonder how I’d ever ridden it that way. 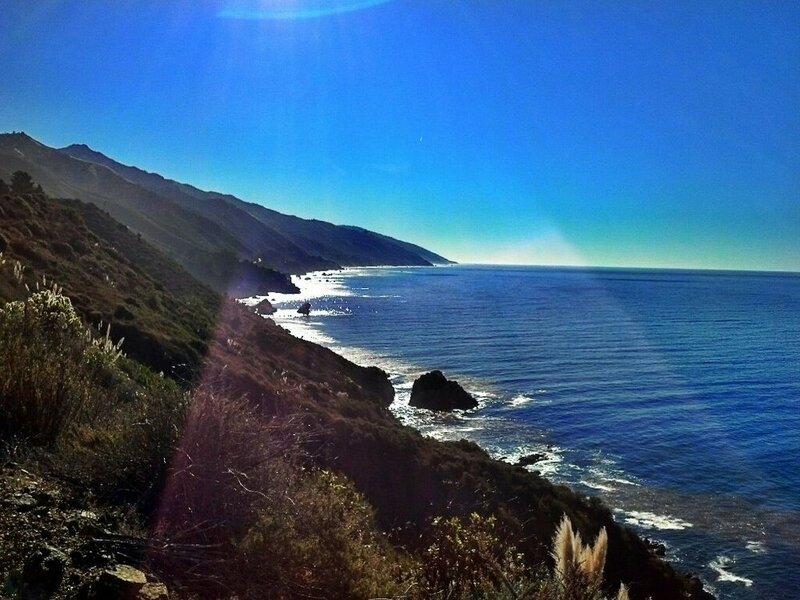 I turn at Lime Kiln park and turn back north to Esalen. I pass an impressive construction site for the second time, a combination bridge and avalanche shed, to the tune of 61 million dollars according to the flagger. Then the number arrives: 10,000. 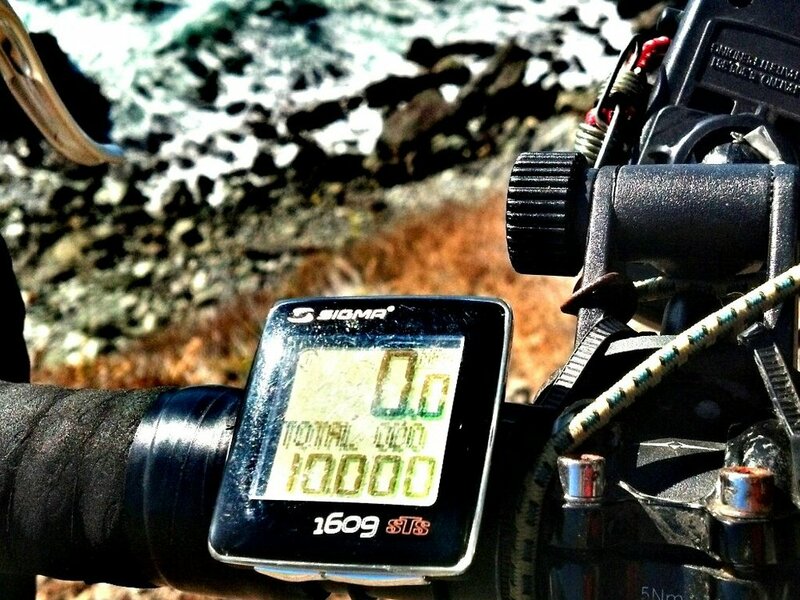 The miles I’d ridden since I resumed my bicycle passion three years ago. An auspicious and arbitrary achievement. And actually not that much, considering a real cycling fanatic might ride 50 miles daily, reaching 15,000 in one year. But 10,000 means a lot to me, as I consider all that has happened in the past three years, and anticipate what is to come in the next. And the number gives me a unique introduction at my writing workshop, which begins tonight. ← The closest thing to flying!